Drop-in and enjoy coffee and donuts, pick up your pledge/gift card, and help us make this year's faculty and staff campaign the best one yet with 100 percent participation! What is the purpose of the Campus Campaign? The purpose of the Campus Campaign is to allow faculty and staff to choose any campus initiative they would like to support. Our campus goal is to have 100% participation. We need you to meet this goal. Your gift is a personal decision, and a personally significant gift is very valuable to Indiana University Kokomo. Your gift to this campaign can be spread out over one year, and we have a guide to assist you in your planning. If you are interested in a gift that spans longer than one year, please call the Office for Advancement (ext. 9485) for assistance, as gifts may be extended as long as five years. 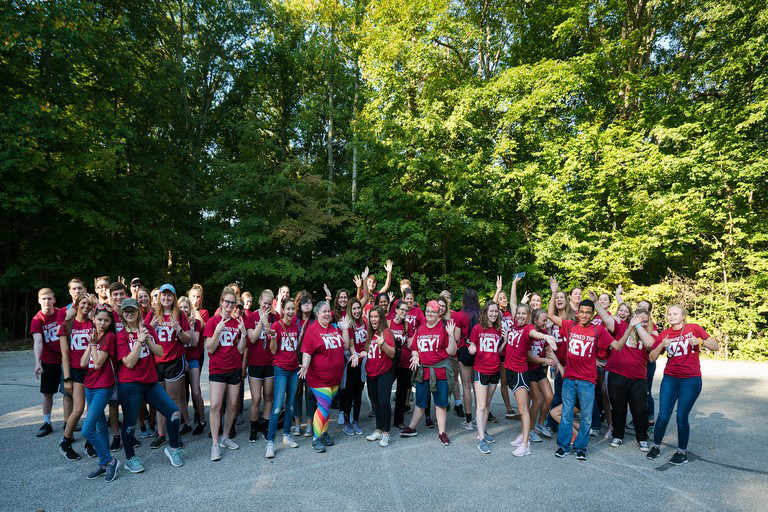 Not only does a gift from faculty and staff provide financial support for our campus, but it also demonstrates to alumni, community members, and friends that we believe IU Kokomo is not only worthy of our support, but their support as well. Your gift may provide you with specific tax savings. Indiana taxpayers receive a tax credit of 50% on gifts up to $200 if filing a single return and $400 on a joint return. Please contact the Office for Advancement.